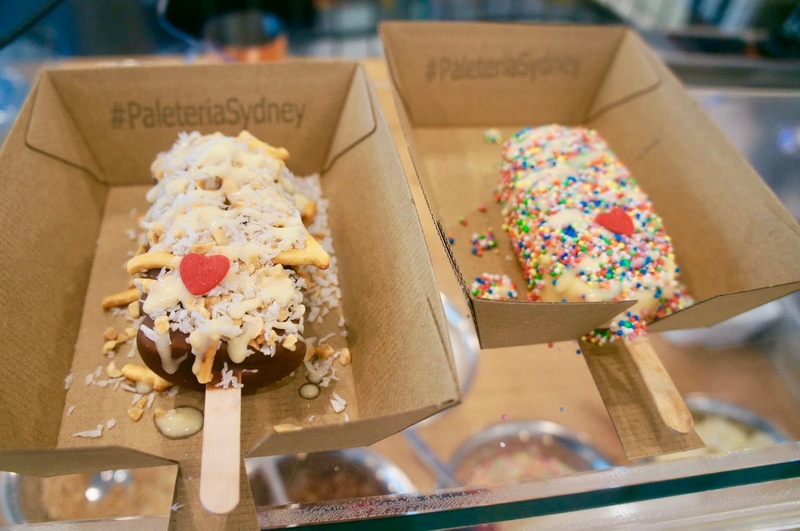 Sydney Shop Girl: Friday Drinks #22: Post Easter. The New Car Park. Friday Drinks #22: Post Easter. The New Car Park. Don't you love back to back short working weeks? If only all Mondays could start with a bit of a sleep in or failing that a lack of the pressure to be fed, dressed and out the door to beat the dreaded traffic. If only they could all then progress to casually pulling on some weekend type clothes before heading out the door for coffee and a few groceries. If only all Mondays could feel and function like Sundays. I love that luxury of time on public holiday Mondays. There never seems to be much that needs doing urgently which instantly seems to free you up to do more than you normally would on the first working day of the week. We treated ourselves to some elaborately decorated and chocolate dipped ice-creams from Paleteria after lunch. I'm not usually a big fan of white chocolate but it's the perfect match with a tart passionfruit sorbet ... and hundreds and thousands. Can you guess which of the two were belonged to Master SSG? My credit card was as relieved as I was disappointed by how popular the Marimekko + UNIQLO was. None of what I wanted was in stock. So we were forced to move on hastily. But not before Master SSG squeezed in one game of hide and seek among the polka dots. It's still a bit warm for autumn, isn't it? Wonder how much longer I'll have to bust out the printed pencil skirts and T shirts for work before the weather gets the message about what season we're meant to be in. After a long weekend filled with chocolate, baked goods and ice-cream; work day salad lunches have almost felt like a treat. Guess what? I'm part of a blog link up. It was all Anna of Mutton Years Style's idea. She put all the hard work in behind the scenes. Then Bojana of Bodaciousblog designed our graphic. And I tagged along. You can read about how our first international link up went over here. Thanks again to everyone who shared their posts about life, fashion and everything in between. We look forward to seeing you all again on next month's link up. If you didn't get a chance to join in this time, why not plan ahead and think of a post you could share? The three of us plan to keep writing about life in our own parts of the world (Australia, the UK and Canada) and you're more than welcome to run with this as well there isn't a set theme, it's all about all of us more than anything. 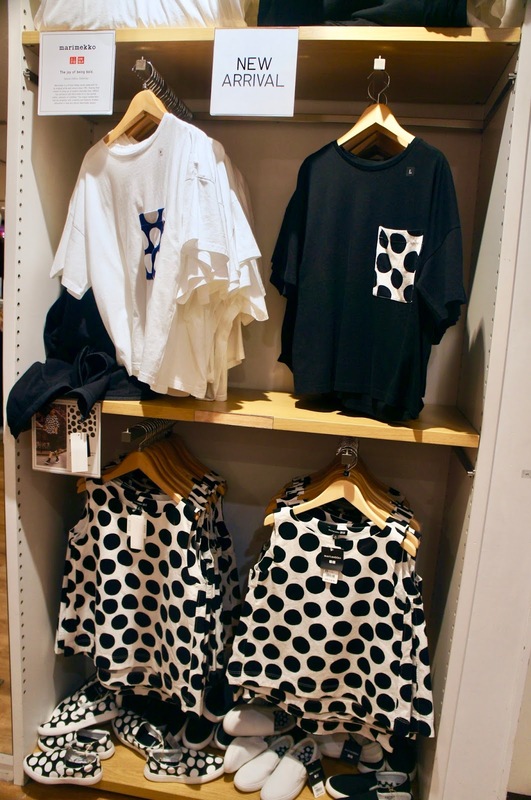 Did you buy any Marimekko + Uniqlo? Lift or stairs at the carpark? See you on Continental Drift next month? Those dipped ice creams look amazing! Yum! 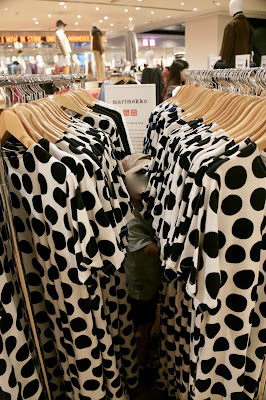 I've seen the Marimekko collection in passing at Uniqlo and I liked the look of it, but I've never had the time to stop and browse properly. I am having a bit of a love for polka dots at the moment though so I'm sure I'll check it out properly at some point, haha! That ice cream looks Devine! I also love to eat salads after a weekend full of to much food. Happy Sunday!